Large 1 BR with fully equipped kitchen and 2 bathrooms. Area = 1100 sq. ft. - with Luxury furniture. Rent is : Dhs 6,000 / monthly basis or 66,000 per year (12 checks). 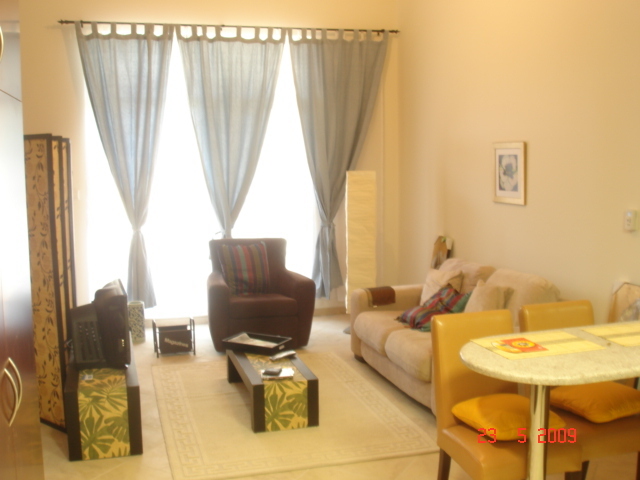 Rent includes DEWA, AC, speed Internet, Showtime, Landline. Open to a nicely landscaped court.